Introduction: Granulocyte-Colony Stimulating Factor (G-CSF) is an innovative therapy in reproductive field, although its mechanisms of action still remain unknown, seems to be effective in the case of recurrent abortion or implantation failure and thin endometrium. Methods: Thirty nine infertile women (with a male factor) candidate for IVF were stimulated by the standard long protocol. Case group was underwent one G-CSF (300 microgram/1mL) injection subcutaneously on the implantation day and another 48 hours later. The control group received normal saline. Results: The frequency of βhCG positive and clinical pregnancy for both groups were 47.2% (n=17) including 8 patients (44.4%) for G-CSF group and 9 patients (50.0%) in placebo group statically have no significant differences. The frequency of A quality embryos were 14 (38.9%) and B quality embryos were 22 (61.1%) and there were no noticeable differences between two groups. The frequency of βhCG positive and clinical pregnancy for both groups were 47.2% (n=17) including 8 patients (44.4%) for G-CSF group and 9 patients (50.0%) in placebo group statically have no significant differences. Conclusions: Although we cannot show the beneficial outcomes of prescribing subcutaneous G-CSF, but a lower prevalence of abortion in the case group than control group may be due to the positive effect of G-CSF administration on the endometrium. Despite all the developments taking place in the field of assisted reproductive technology (ART), sometimes multiple embryo transfer fertility is not successful. In various studies, a significant percentage of IVF failure is due to differences in endometrial receptivity (1). Implantation of a pregnancy is an important step for the molecular events that require development and differentiation of trophoblast adhesion and invasion of the uterus and the placental formation (2). Endometrial receptivity for implantation requires a normal embryo, blastocyst stage and coordination between mother and fetus. Human endometrium undergoes significant changes to prepare for implantation and in this process, immune cells and their secreted substances such as granulocyte colony-stimulating factor (G-CSF) in the luteal phase play an important role (3). G-CSF a polypeptide with 177 amino acids which stimulate granulocytes expressed by the trophoblast-decidual cells in mammals and its receptors also exits on trophoblast cells(4). GCSF is an anti-apoptosis protein which inhibits apoptosis in endometrial cells. Moreover, this protein increases the number of endometria vessels in patients with thin endometrium and therefore prevents any damages. Other advantages of GCSF include improvement of follicle in rats, increased fertility, ovarian response (in poor responders), and ovarian reconstruction(5). In 1996, makinoda and et al showed that serum G-CSF concentration increased significantly at the ovulatory phase and it may have a fundamental effect on the mechanism of ovulation (6). According to this hypothesis, further studies conducted to investigate that whether G-CSF can improve the outcome of IVF pregnancies or not? In recent years, we understood that G-CSF is involved in follicle development and ovulation (7)and also It could be a predictor of embryo implantation for IVF outcomes (8, 9). On the other hand, the thin endometrium is one of the important problems of ART, unfortunately, its prevalence is not known but some studies reported the prevalence of 1% or even lower (10). In an effort to increase the thickness of endometrium numerous treatment options have been taken that results are still questionable.For the first time, Gleicher et al in 2011 were successfully used G-CSF in the treatment of unresponsive thin endometrium (11). This was the beginning of an evolution in reducing abortion rate followed by increasing endometrial thickness, implantation, and pregnancy success rate. Therefore further animal and human studies conducted to demonstrate the efficacy of G-CSF administration for infertile women with a thin endometrium. Implantation is one of the important steps that higher level of G-CSF can cause more successful rate of implantation. The relationship between G-CSF level and successful implantation was examined and it was stated that the success of implantation in people with a G-CSF higher than 24 was 38%(12). The endometrial tissue in human undergoes considerable changes to prepare for implantation. The immune cells and secretions of this tissue (such as G-CSF) in the luteal phase play an important role in this process. Using intrauterine G-CSF administration is a remedy treatment in reproductive medicine and the presumption of improving the survival of embryo transferred followed by decreasing miscarriage and Promoting the regeneration of endometrial cells need to be confirmed (5, 13-15). 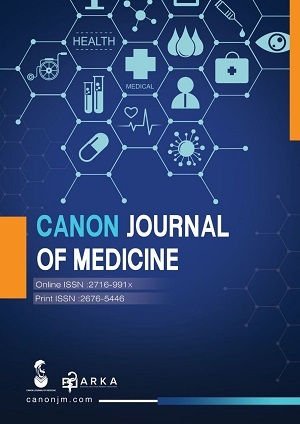 Thus, according to the important role of G-CSF, we conducted this study to investigate whether subcutaneous administration of Granulocyte-Colony Stimulating Factor can decrease the abortion rate in ART cycle or not? This is a prospective single blinded randomized clinical trial conducted in Hamedan, Iran in 2015. In this study, 39 infertile women with male factor were selected, using a cluster sampling method from among those receiving IVF treatment in Fatemieh Hospital infertility research center under coverage of Hamedan University of Medical Sciences, which provides health services to over two-thirds of Hamedan’s population. The major inclusion criteria for patient selection were: (a) infertile 20 to 40 aged patients, (b) no history of any underlying endocrine, systemic or gynecology diseases (c) regular menstruation cycle (d) male factor infertility. Three women excluded from the study (one from control and 2 from case group due to losing the follow-up). A written consent form was given to all patients and this study was approved by ethical committee of Fatemieh Hospital infertility research center. The study has been accepted by IRCT (Iranian registration of clinical trials). All the patients were randomly divided into two groups by using a computer-generated randomization number sequence: G-CSF subcutaneous injection treatment group and placebo group, all of them were blinded receiving which treatment they were aligned to. Patients were assigned to receive the standard "long" protocol with high-dose of gonadotropins (Gn). Patients received oral contraceptive pills (OCP) for 21 days. Before discontinued the OCP, Gonadotropin-releasing hormone (GNRH) agonists prescribed for 14 days or until menstruation bleeding or until the day of gonadotropin stimulation, then it decreased to half of primary dose. Before prescribing gonadotropin, regulation of the effective reduction of pituitary was assessed under transvaginal sonography (TVS), seeing no follicular cyst with more than 10 mm diameter. Monitoring of gonadotropin prescription response by serial serum estradiol levels and/or TVS was performed. Once, at least, two follicles measured 17mm in diameter the stimulation were continued. Then 10 000 IU of HCG were administered, follicle puncture was done 3 hours later and finally fertilized with sperm in vitro. Three to five days after the puncture, embryo transfer performed in the luteal phase. In the treatment group, G-CSF injected subcutaneously in deltoid muscle one in transfer day and second 48 hours after the transfer. Each ampoule contains 300 IU (1 ml) G-CSF from the POUYESH Daru in Iran. Patients in the placebo group were received normal saline as the same as G-CSF group. It should be noted that the appearances injected ampule was matched. After embryo transferring progesterone prescribed in the same way for both groups to continue the luteal phase. Serum βhCG titer measured 14 days after embryo transfer (blood titer of higher than 20 considered as a positive test). Ten days after positive βhCG test presence of gestational sac determined in Transvaginal ultrasound and confirmed 2 weeks later by evaluating embryo heart formation in sonography. Statistical analysis was performed using SPSS for Windows ( version 19.0). The significance level was considered 0.05. Total 39 women with male factor infertility included in this blinded randomized clinical trial and randomly divided into two groups. One received G-CSF injection therapy and another received placebo. 2 patients among G-CSF treated group and one patient from the placebo group were excluded from the study because interrupting following up after treatment. Demographic characteristics of study participants were summarized in Table 1. No significant differences were found between two groups for mean ± SDs of age, BMI, number of embryo transferred and endometrial thickness. The frequency of βhCG positive and clinical pregnancy for both groups were 47.2% (n=17) including 8 patients (44.4%) for G-CSF group and 9 patients (50.0%) in placebo group statically have no significant differences. The frequency of A quality embryos were 14 (38.9%) and B quality embryos were 22 (61.1%) and there were no noticeable differences between two groups (Table 2). Figure 1, Figure 2 and Figure 3demonstrated the frequency of βhCG test result, quality and type (frozen or fresh) of embryos were transferred among participants population. There is no correlation between chances of success among of IVF group with having a history of pregnancy. Although embryo quality in group A was a little bit higher than group B, does not any effect on the result of the βhCG test. Fresh embryos have more chance to success (βhCG positive) (70.6%) than frozen embryos (29.4%) (Table 3). Among 17 positive βhCG test after embryo transfer, 3 patients loosed their pregnancy. However the rate of aborted embryos was higher in B quality embryos, statically there were no significant differences between two embryo qualities (Table 4). Mean ± SDs of endometrial thickness, the level of FSH, LH and estradiol of the third day of the cycle are listed in Table 5 for both positive and negative βhCG test result. Although there are no noticeable differences between among mean ± SDs endometrial thickness, FSH of the third day of the cycle, infertility duration and estradiol in positive βhCG and negative βhCG, LH of the third day of the cycle were statistically higher in a βhCG positive group than the negative βhCG group. In 1989 Uzumaki et al. and further studies found that G-CSF receptors out-spread in human placental membrane, trophoblastic cells, fetal membranes and female reproductive systems such as endometrial gland cells and follicular cells(16, 17). This demonstrated using G-CSF in therapeutic purposes in pregnancy and obstetrics is safe. Therefore further studies conducted to evaluate the efficacy of G-CSF on many aspects of gynecology and obstetrics. One of these aspects is using G-CSF as therapeutic objects for patients undergone IVF treatment. Of all the patients treated with IVF, only a small number of them have the thin endometrium resistant to conventional therapies (10). The prevalence of thin endometrium is estimated to be about less than one percent is still unknown etiology (15, 18). However, this issue is of considerable importance because the chance of successful treatment dramatically reduces (19, 20). Clever use of G-CSF by Gleicher et al was an innovation in the treatment of thin endometrium (11). The dose of G-CSF prescribed and method of injection was the major differences of this study with Gleicher et al study. The dosage of G-CSF in this study was 300 IU (1 ml) prescribed for two times was higher than the study of the Gleicher et al. Due to the possibility of vaginal and subcutaneous administration of G-CSF, we decided to work on the administration of subcutaneous G-CSF because of its easier administration. Demographic variables in this study were not statistically different between the two study groups although this lack of difference has no confounding effect on our results. Our study shows that the prevalence of previous IVF, the number of oocytes, embryo, fetus type (fresh or frozen), duration of infertility, history of previous miscarriage, the level of FSH, estradiol, were the same in both groups and have no significant difference. In the previous study conducted by Papanikolaou et al prescription of intrauterine G-CSF not only increase the endometrium thickness 20 % in two third of patients but also decrease the risk of miscarriage (13). But this study showed that endometrial thickness in the placebo group (85/1 ± 81/8 mm) were almost equal with the G-CSF group (82/1 ± 13/8 mm), and there were no statistically significant differences (p = 0.418). The findings of David et al in 2014 presented that in patients undergo IVF treatment, G-CSF prescription did not affect endometrial thickness, implantation rates, or clinical pregnancy rates. They described these results were obtained in an older patient population, and they may not necessarily apply to younger women (21). We think the lack of endometrium thickness differences in case and control groups may be due to our small sample size. G-CSF important function helps to improve implantation and after that maintain pregnancy(8). The results of Rahmati et al in 2014 also confirmed that simulating G-CSF receptor expressing with higher dose of G-CSF at the fetomaternal interface improve embryonal adhesion, cell migration, tissue remodeling and angiogenesis during embryo implantation process(22). In another study Aleyasin etal evaluated efficacy of single dose administration of G-CSF on 112 infertile women with repeated IVF failure. They found that single dose of G-CSF administration before implantation plays vital role on pregnancy maitenance(23). Finally G-CSF administartion can cause lower abortion rate in infertile women treated with IVF. The increase levels of G-CSF both in the follicular microenvironment and in serum, showed the relation between G-CSF and good ovarian response (mature oocytes, E2 levels on the hCG day) or clinical pregnancy rates (4, 24). In reproduction medicine, has been proposed that G-CSF can be a good treatment for implantation failure and repeated miscarriages (3, 4, 25). We cannot prove the relation between G-CSF and miscarriage decreasion as same as the study of Li et al in 2014. The frequency of abortion in the control group was more than case group but the prevalence of abortion in G-CSF group (5.6 %) was lower than the placebo group (11.1%) and this was not noticeable differences that can be due to our small sample size. As we know whatever the G-CSF level is much greater in the follicular fluid, pregnancy rates increase. Because Increased serum level of G-CSF leads to ovulation stimulation (8). In Aleyasin etal study in 2016, subcutaneous administration of G-CSF improved successful pregnancy rates and implantation in IVF treated patients with normal endometrium(23). the study of Scarpellini et al also demonstrated higher implantation rate in IVF patients received G-CSF compared with placebo group(26). But some studies (10, 21, 27) explained G-CSF administrations has no effect on implantation or pregnancy rate. It can be due to small sample size, patient’s age, endometrial thickness. In our study the rate of clinical pregnancies had no statistical differences in both the case and the control groups and, fortunately, this is because of our better embryo quality, more follicles, more embryo transferred in the control group compared with the case group. Little information is available about the exact mechanism of G-CSF impacted on endometrium thickness. This is proved that G-CSF receptors in the fetomaternal interface and endometrium expressed and secreted by both fetal chorionic villous and maternal decidual tissues in the first trimester. This suggested the important role of G-CSF in maintaining pregnancy product(28). Although we cannot show the beneficial outcomes of prescribing subcutaneous G-CSF, but a lower prevalence of abortion in the case group than control group may be due to the positive effect of G-CSF administration on the endometrium. Of course, all epidemiologic studies are not immune from mistakes but it is necessary to note that this study suffers from a type of bias named a volunteer bias. Our subjects who have chosen are not representative of a whole population. MFS designed the study and drafted the manuscript. NM and FPM helped in manuscript drafting and data acquisition. APD and ZY helped in manuscript drafting and data analysis. All authors have approved the final version of manuscript. 1. Zeyneloglu HB, Onalan G. Remedies for recurrent implantation failure. Seminars in reproductive medicine. 2014 Jul;32(4):297-305. PubMed PMID: 24919029. Epub 2014/06/12. eng. 2. Coughlan C, Ledger W, Wang Q, Liu F, Demirol A, Gurgan T, et al. Recurrent implantation failure: definition and management. Reproductive BioMedicine Online. 2014;28(1):14-38. 3. Toth B, Würfel W, Germeyer A, Hirv K, Makrigiannakis A, Strowitzki T. Disorders of implantation–are there diagnostic and therapeutic options? Journal of reproductive immunology. 2011;90(1):117-23. 4. Scarpellini F, Sbracia M. Use of granulocyte colony-stimulating factor for the treatment of unexplained recurrent miscarriage: a randomised controlled trial. Human Reproduction. 2009;24(11):2703-8. 5. Zhao J, Tian T, Zhang Q, Wang Y, Li Y. Use of granulocyte colony-stimulating factor for the treatment of thin endometrium in experimental rats. PloS one. 2013;8(12):e82375. 6. Makinoda S, Mikuni M, Sogame M, Kobamatsu Y, Furuta I, Yamada H, et al. Erythropoietin, granulocyte-colony stimulating factor, interleukin-1β and interleukin-6 during the normal menstrual cycle. International Journal of Gynecology & Obstetrics. 1996;55(3):265-71. 7. Wang H, Wen Y, Polan ML, Boostanfar R, Feinman M, Behr B. Exogenous granulocyte–macrophage colony-stimulating factor promotes follicular development in the newborn rat in vivo. Human Reproduction. 2005;20(10):2749-56. 8. Salmassi A, Schmutzler A, Schaefer S, Koch K, Hedderich J, Jonat W, et al. Is granulocyte colony-stimulating factor level predictive for human IVF outcome? Human Reproduction. 2005;20(9):2434-40. 9. Salmassi A, Schmutzler AG, Huang L, Hedderich J, Jonat W, Mettler L. Detection of granulocyte colony-stimulating factor and its receptor in human follicular luteinized granulosa cells. Fertil Steril. 2004 Mar;81 Suppl 1:786-91. PubMed PMID: 15019810. Epub 2004/03/17. eng. 10. Li Y, Pan P, Chen X, Li L, Li Y, Yang D. Granulocyte colony-stimulating factor administration for infertile women with thin endometrium in frozen embryo transfer program. Reproductive Sciences. 2014;21(3):381-5. 11. Gleicher N, Vidali A, Barad DH. Successful treatment of unresponsive thin endometrium. Fertility and sterility. 2011;95(6):2123. e13-. e17. 12. Lédée N, Petitbarat M, Rahmati M, Dubanchet S, Chaouat G, Sandra O, et al. New pre-conception immune biomarkers for clinical practice: interleukin-18, interleukin-15 and TWEAK on the endometrial side, G-CSF on the follicular side. Journal of reproductive immunology. 2011;88(2):118-23. 13. Papanikolaou E, Kyrou D, Zervakakou G, Paggou E, Humaidan P. Follicular HCG endometrium priming for IVF patients experiencing resisting thin endometrium. A proof of concept study. Journal of assisted reproduction and genetics. 2013;30(10):1341-5. 14. Ledee N, Gridelet V, Ravet S, Jouan C, Gaspard O, Wenders F, et al. Impact of follicular G-CSF quantification on subsequent embryo transfer decisions: a proof of concept study. Human reproduction (Oxford, England). 2013 Feb;28(2):406-13. PubMed PMID: 23223438. Pubmed Central PMCID: PMC3545637. Epub 2012/12/12. eng. 15. Gleicher N, Kim A, Michaeli T, Lee HJ, Shohat-Tal A, Lazzaroni E, et al. A pilot cohort study of granulocyte colony-stimulating factor in the treatment of unresponsive thin endometrium resistant to standard therapies. Human reproduction (Oxford, England). 2013 Jan;28(1):172-7. PubMed PMID: 23081869. Epub 2012/10/20. eng. 16. Uzumaki H, Okabe T, Sasaki N, Hagiwara K, Takaku F, Tobita M, et al. Identification and characterization of receptors for granulocyte colony-stimulating factor on human placenta and trophoblastic cells. Proceedings of the National Academy of Sciences. 1989;86(23):9323-6. 17. Lédée N, Lombroso R, Lombardelli L, Selva J, Dubanchet S, Chaouat G, et al. Cytokines and chemokines in follicular fluids and potential of the corresponding embryo: the role of granulocyte colony-stimulating factor. Human Reproduction. 2008;23(9):2001-9. 18. Shufaro Y, Simon A, Laufer N, Fatum M. Thin unresponsive endometrium—a possible complication of surgical curettage compromising ART outcome. Journal of assisted reproduction and genetics. 2008;25(8):421-5. 19. Isaacs Jr J, Wells C, Williams D, Odem R, Gast M, Strickler R. Endometrial thickness is a valid monitoring parameter in cycles of ovulation induction with menotropins alone. Fertility and sterility. 1996;65(2):262-6. 20. Al-Ghamdi A, Coskun S, Al-Hassan S, Al-Rejjal R, Awartani K. The correlation between endometrial thickness and outcome of in vitro fertilization and embryo transfer (IVF-ET) outcome. Reprod Biol Endocrinol. 2008;6(1):37-41. 21. Barad DH, Yu Y, Kushnir VA, Shohat-Tal A, Lazzaroni E, Lee H-J, et al. A randomized clinical trial of endometrial perfusion with granulocyte colony-stimulating factor in in vitro fertilization cycles: impact on endometrial thickness and clinical pregnancy rates. Fertility and sterility. 2014;101(3):710-5. 22. Rahmati M, Petitbarat M, Dubanchet S, Bensussan A, Chaouat G, Ledee N. Granulocyte-Colony Stimulating Factor related pathways tested on an endometrial ex-vivo model. PloS one. 2014;9(9):e102286. PubMed PMID: 25275446. Pubmed Central PMCID: PMC4183482. Epub 2014/10/03. eng. 23. Aleyasin A, Abediasl Z, Nazari A, Sheikh M. Granulocyte colony-stimulating factor in repeated IVF failure, a randomized trial. Reproduction (Cambridge, England). 2016 Jun;151(6):637-42. PubMed PMID: 26980809. Epub 2016/03/17. eng. 24. Kahyaoglu I, Yılmaz N, Timur H, Inal HA, Erkaya S. Granulocyte colony-stimulating factor: A relation between serum and follicular fluid levels and in-vitro fertilization outcome in patients with polycystic ovary syndrome. Cytokine. 2015;74(1):113-6. 25. Würfel W, Santjohanser C, Hirv K, Bühl M, Meri O, Laubert I, et al. High pregnancy rates with administration of granulocyte colony-stimulating factor in ART-patients with repetitive implantation failure and lacking killer-cell immunglobulin-like receptors. Human reproduction. 2010;25(8):2151-2. 26. Scarpellini F, Sbracia M. G-CSF treatment improves IVF outcome in women with recurrent implantation failure in IVF. Journal of Reproductive Immunology. 2012;94(1):103. 27. Eftekhar M, Sayadi M, Arabjahvani F. Transvaginal perfusion of G-CSF for infertile women with thin endometrium in frozen ET program: A non-randomized clinical trial. Iranian journal of reproductive medicine. 2014;12(10):661. 28. Shorter S, Vince G, Starkey P. Production of granulocyte colony-stimulating factor at the materno-foetal interface in human pregnancy. Immunology. 1992;75(3):468.